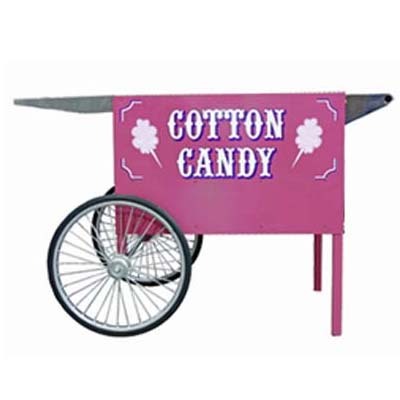 Pink Deep Well Cotton Candy Cart - J.D. Honigberg International, Inc. 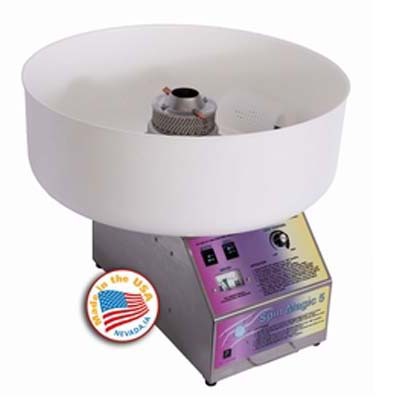 The New Deep Well Cotton Candy Cart provides ideal machine positioning for serving fresh cotton candy. 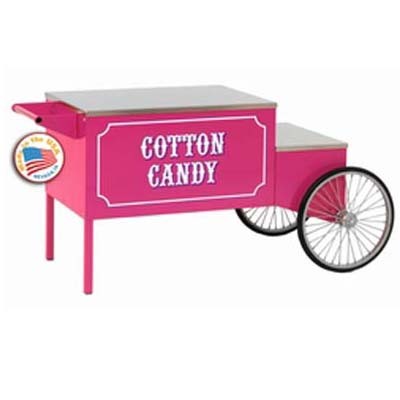 Constructed of 18-gauge steel: this cart is designed to uphold operation of any cotton candy machine’s performance and powder coated paint for durability. Available in either blue or pink. 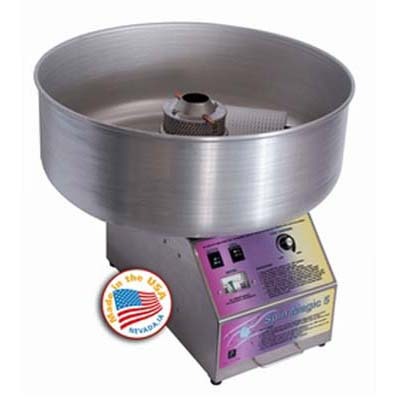 Deep Well design to position the cotton candy machine lower for easier and more efficient flossing. 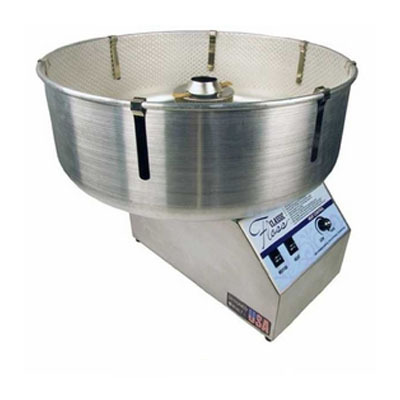 Reversible position for handle, tray and wheels to be able to be displayed in more locations. Storage shelf to keep extra bags and cones. Floating shelf with pre-drilled holes to display ready made cones.